Deer Valley Rated #1 Ski location in the west, Park City #5!!!! Great location less than 1/2 mile from Deer Valley Resort or Main Street, 1 mile to Park City Mountain. 3 Bedrooms each with private full bath. Bedding is king, king, twin & Bunk, with full size lower bunk. Sleep sofa in Pool Table room. New flat screen TV's. Newly remodeled and decorated kitchen, living room, Master Bed and bath with Spa shower. New paint carpets,and window treatments. New furniture in all bedrooms. Plenty of light in all rooms. Living room has DVR, DVD, surround sound and fireplace. Lower Pool room with 52" TV Sleep sofa, and boot heaters, with direct garage access. Ski racks in the garage if needed. Convenient to everything and ideal for the family who wants to ski all resorts. Kitchen fully equipped with new cookware, dishes and utensils, kitchen remodeled 2016. Professional couple living in Florida. Easy access in & out of Salt Lake City, quick, easy drive to the airport. 3 great ski mountain within 10 minutes, 5 more 45 minutes. Plenty to do in the summer as well; golf hike, bike and more. Very well lit, relaxed & comfortable atmosphere. We continue to udgrade and improve our decor and amenities. We want our home to feel like yours when staying here. Deer Valley resort in sight and just 0.6 miles to base area. Great location. Warm, comfortable interior. The lock is a bit tricky. Sticks somewhat but got in through the garage. Was a nice refuge after long days out. 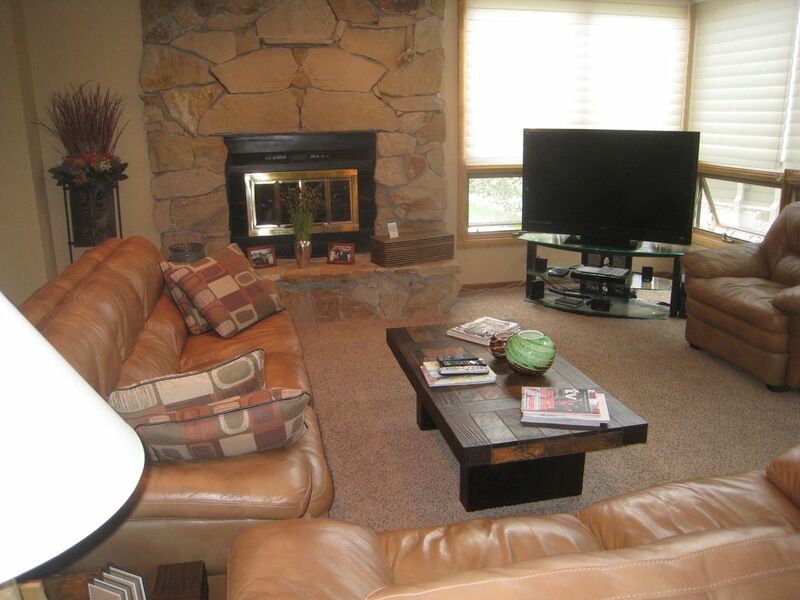 1216 Stonebridge is in a great convenient location to Deer Valley resort, Main Street & Park City mountain. The unit is recently renovated with a great new kitchen and lots of amenities. We look forward to staying there again. Thank you, We have done a lot to upgrade our unit to make it more appealing and desirable. The new kitchen really gives the unit a complete new feel. It is in a great location and we have a lot of amenities that very few units have, including the pool table, boot heaters, many games and DVD's in the unit. We want you to enjoy our home as much as we do! Located just off Deer Valley Drive, mid way between Main Street and Deer Valley Resort.